At the risk of getting lynched by Friends of the Earth, I’d like to say that I’m getting a little bored of all this talk of being green. I’ve had enough of sorting my rubbish into 32 different bins and am sick to the back teeth of being told that my carbon footprint is a full size 14. The way I see things, I’ll be long gone by the time the Earth is superheated to a billion degrees before exploding. So, when the latest Vauxhall Astra arrived at the office with its promise of being even greener, I groaned. The figures in the press pack looked worthy enough – fuel economy up 16% to 36.7mpg and CO2 emissions down from 216g/km to 185 (a drop of six benefit-in-kind tax bands), but this didn’t really light my fire. Reading a little further down, though, and things became a lot more interesting. The same engine that is more frugal and clean is also more powerful than before. Brilliant. The engine in question is a new turbocharged 1.6-litre petrol unit which develops 178bhp – 10bhp more than the 2.0-litre it replaces. It’s the same engine which powers the Meriva and Corsa VXR models (although the latter is tweaked for more power). 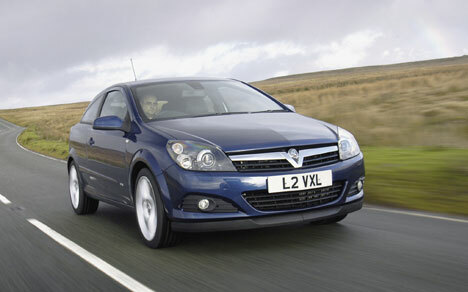 It endows the Astra with a fizzy character that the old engine didn’t provide. The new unit feels lively – it loves to be revved and delivers strong performance throughout the rev range. The close-ratio six-speed manual gearbox adds to the enjoyment, shifting slickly between gears and keeping the engine in the thick of the turbo’s boost. It all adds up to a car which offers impressive performance for the real world. While the Astra VXR may be more powerful and behaves in a more aggressive manner, the 1.6-litre turbo version is a more user-friendly hottish-hatchback. It certainly looks the part, too. Our test car was a three-door Sport Hatch in SRi trim – one below the VXR – and it has enough in the way of visual add-ons to differentiate it from lesser Astras. The Sport Hatch is already one of the best-looking three-door lower-medium hatchbacks on the market but in SRi trim with extra spoilers and air dams, plus 17-inch alloy wheels, it really looks the part. The interior is also impressive, with heavily-bolstered sports front seats, chunky three-spoke steering wheel and a quality feel to the materials used. For a user-chooser who wants a sporty hatchback but whose allowance won’t stretch to the full-house VXR version, this new engine in SRi trim is a worthy alternative. And because it’s greener than before, it also makes sense for both fleet managers and drivers. Perhaps this green business isn’t so bad after all. The Renault Megane looks good value, offering 165bhp and coming in high-spec GT trim. The SEAT Leon undercuts the 180bhp Vauxhall Astra and 170bhp Volkswagen Golf by some margin and is the most powerful car here with 200bhp. It also offers five doors. With low emissions and easily the cheapest front-end price, the Megane wins here, costing a 22% taxpayer £67 a month in benefit-in-kind tax. The Golf runs it close on £70 a month, thanks to its efficient Twincharger engine. The Leon will cost £76 and the Astra £79. The Golf has variable service intervals which give it an advantage, while the Astra’s 20,000-mile service intervals and competitive labour rates at Vauxhall garages see it just pipped into second. The SEAT needs servicing every 10,000 miles and the Renault every 12,000. The Golf uses a turbocharger and a supercharger to maximise economy, returning 38.7mpg for a fuel bill of £6,120 over 60,000 miles. 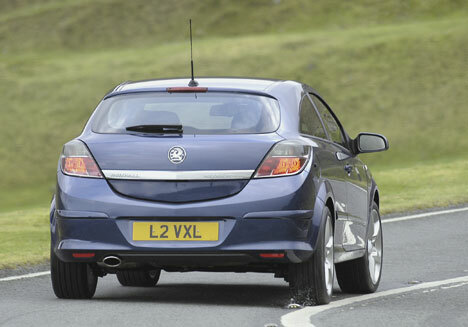 The Astra and Megane are next on 36.7mpg while the most powerful car, the Leon, returns 35.8mpg. Despite having the lowest front-end price the Megane comes last thanks to a poor RV forecast – CAP estimates it will retain just 25% of cost new after three years/60,000 miles. The Golf wins by retaining 41% of its value. The Leon comes in at 35% and the Astra 34%. The Golf completes a clean sweep by winning every running costs category to open up a 1.4 pence-per-mile (ppm) advantage over the Leon in second. The Astra and Megane are much further back in the 34ppm bracket thanks to lower residual value forecasts. The Renault is the first to be ruled out – it simply costs too much to run when compared with its rivals, although it does offer the lowest benefit-in-kind bills. Ditto the Astra – it’s a great looking car and is fun to drive but the wholelife costs stack up against it. The Leon is a great value package with strong performance, but overall the Golf’s blend of performance and its on-paper financial advantage seal the victory.